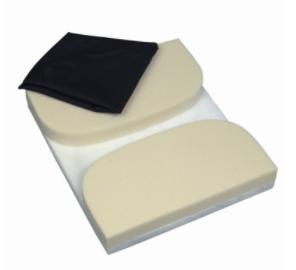 DMI Coccyx Cushion is a perineal cushion designed to provide relief for the perineal area. 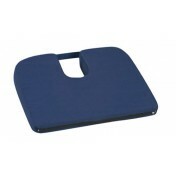 The Coccyx Cushion is constructed with firm, medium density foam. 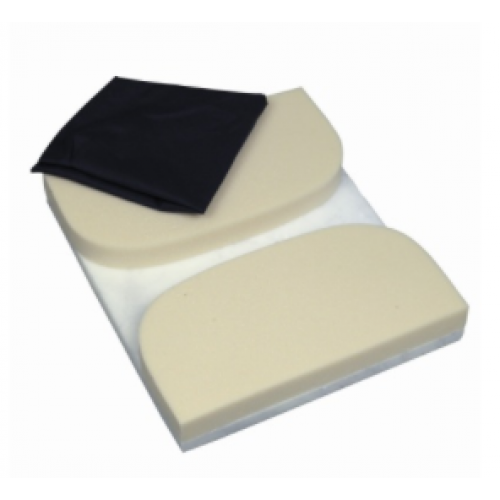 Ideal for patients who are required to sit for prolonged periods, the Duro-Med Coccyx Cushion provides comfort for perineal pressure. 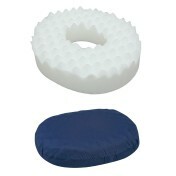 Provides added support and comfort. 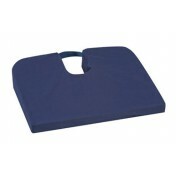 Removable, machine washable navy polyester/cotton cover. 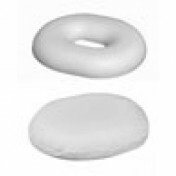 This product actually is not what I thought I was ordering. 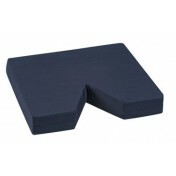 In the past, I've had pillows that had a U-shaped cut-out at the back where you placed your tailbone. 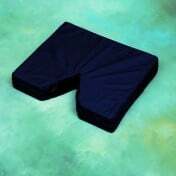 This product has a pillow for each cheek and a space in between; somehow it still seems to put pressure on my tailbone area. It's OK, but I'm disappointed.